Written by: sarahwagner on May 20, 2018. 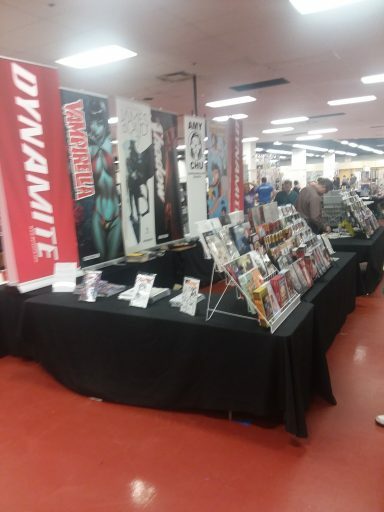 New Dimensions Comics has one of the last operational stores in the once bustling and vibrant Century III mall where they also host the 3 Rivers Comicon. I will start off by saying of all the conventions I’ve gone to over the last few years (since I started doing conventions), 3 Rivers Comicon was definitely the best bang for your buck, hands down. 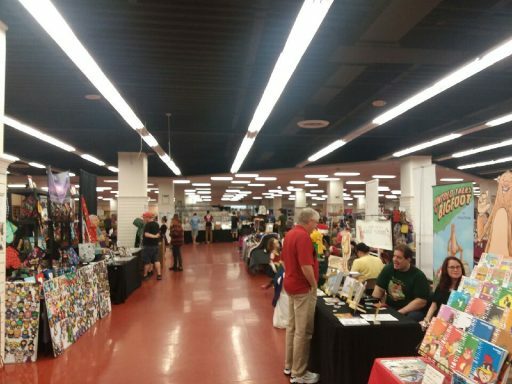 It is pretty niche, you’re not going to find TV and movie celebrities like at Steel City Con or Manga like Tekko but if you like comics and the people who make, draw, and publish comics, you want to go to 3 Rivers Comicon. When you walk in, you pay the most reasonable prices for entrance, and the first thing you come to is the wheel – you sign up for New Dimensions email list (which we did), you spin the wheel, and you get neat prizes. My kids and husband got comics. I won the best prize on the wheel (to me), a hardback Doctor Who book (which is really beautiful). Then there’s the freebie table – everyone gets a graphic novel. We all picked books we’d never heard of before because that’s how you find new things to love. I had two goals in mind walking in. I wanted to get my shiny hardcover of The Maxx signed by William Messner-Loebs and I wanted to go the panel at noon on women in comics. I could fill many pages about my love of The Maxx and MTV back when mousy brunettes with glasses (like me) and like Sarah on the Maxx could be both wounded and amazing. Mr. Messner-Loebs was really incredible and chatty, telling me stories about how my favorite character was almost an incredibly different lady and how she came to be who she was instead. It boils down to civic responsibility and making the conscious decision not to have a good character do something awful that could inspire others to do the same, a la the Sorrows of Young Werther. 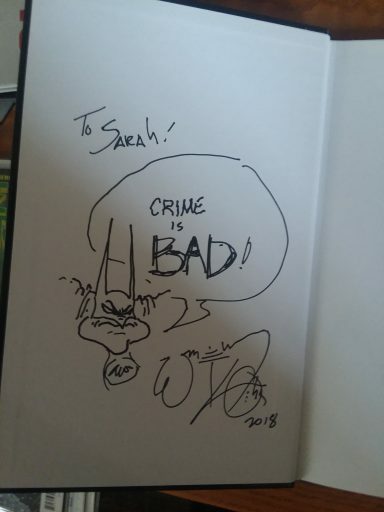 He was kind enough to even draw me a picture when he signed my book and just absolutely made my day. The panel was held in a small room with no soundproofing, we could hear the guys from the 501st with their beeping robots and Emperor’s March, but it was an interesting discussion with the ladies who run the Ladies Comics Night at the Pitt Mills New Dimensions location and writer Amy Chu (of Red Sonja, Green Hornet, and Kiss fame). 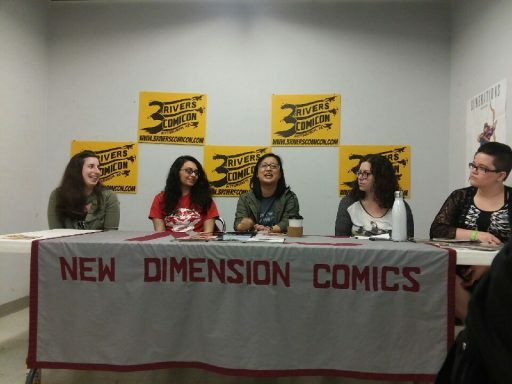 It was nice to hear about women in the comics industry actually supporting other women in the comics industry. So often, women are portrayed as catty, uncooperative types, and it’s nice to know that the stereotype is less than accurate. There was also a discussion about why there are gender or race variations of particular characters instead of introducing a new character which has a lot less to do with appeasing one fanbase at the cost of another and a lot more to do with what retailers are willing to take a chance on. It’s a lot easier to get a female Iron Man counterpart into stores than a brand new intelligent black woman superhero because readers are more likely to snap up a familiar title than a new one. Amy Chu talked about the reception of her Green Hornet who is actually Kato’s daughter and finding less resistance even if some of the really vocal people missed some of the points being made. Hearing stories, good and bad, about interactions with comic shop staff and other fans was nice. It’s super nice to feel a sense of community and comradery with other comic book fans who just so happen to not be boys. We walked through the vendors, artists, and publishers. The 501st was there with their robots. They have the cutest remote BB-8 running around interacting with the really little kids. They’re always great fun. The artists were incredible. I wish I had more wall space. I saw the best Swamp Thing I’ve ever seen and I would have bought it if it had been a print and not an original, some incredible Cthulu art, fan art, indie comics both self-published writers and smaller publishers. I think if people really knew who wrote the comics that they love, who drew them, and all that, I think 3 Rivers Comiccon would have been just as overcrowded at Steel City can be. The way the large room was set up, it never felt too crowded or like you were going to bump into someone or trip over someone. No line was ever too long, even to talk to the bigger named artists and creators who were there. I never felt rushed or pressured. Overall, it was a very laid back, well organized convention. Kudos to New Dimensions for that. I do wonder what they will do next year as the Century III Mall is closing as I understand it. There was some excellent food at this convention. 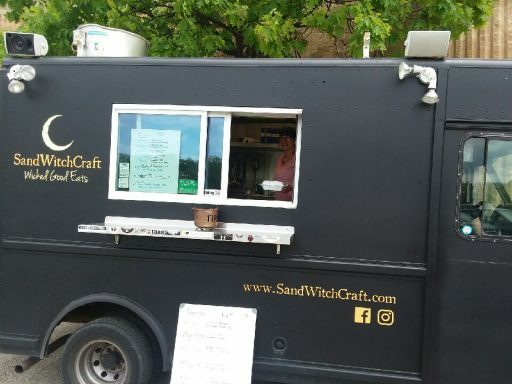 A small handful of food trucks were situated by the entrance. The game room was very small and mostly empty but there was room for tabletop games, card based games, and video games. An Extra Life chapter was positioned just outside the entrance to that room also – they’re always so good at placement! The local LARP group was there recruiting and I think today was the first time I’ve seen them at a convention so that was nice to see. If you like comic books and comic style art, this is absolutely the best convention in Pittsburgh for it. Hands down. I’ll definitely be going again! From the Free Graphic Novels – there were many titles to choose from.